The STF-1 team has been hard at work completing an integration fit check. This process took an entire day and was turned into a time-lapse for you to see. Unlike what is shown in the video, each stack had to be assembled multiple times in order to add or remove different combinations of washers and spacers in order to achieve the required fit. Upon completion new measurements were taken for the entire spacecraft. These will be used to determine the lengths required for cables and new spacers to be ordered for the flight integration test only weeks away. The final product can be seen in a close up below. 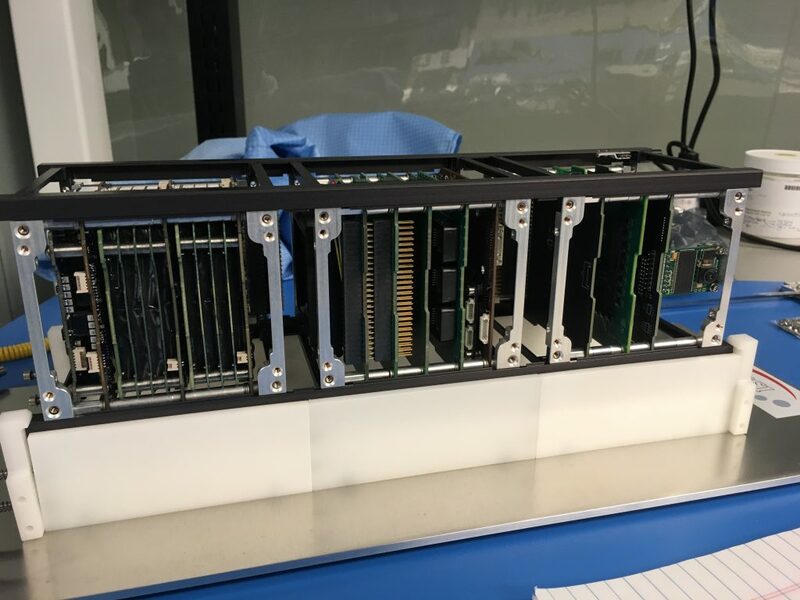 After all the measurements were taken and some modifications settled upon, the entire satellite needed to be disassembled for cleaning and conformal coating prior to final integration for environmental testing.